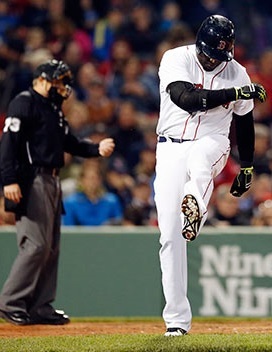 No matter how you look at it, the Boston Red Sox are having a poor season. Despite a great deal of anticipation surrounding the team for 2014 after winning the World Series last year, the Sox currently hold the last place position in the American League East division. With a better win-loss record (13 games under .500) than only the Astros and the Rangers in all of the American League, the Red Sox have lost all their hope for the 2014 season being a memorable one — memorable in a good way, that is. Any remaining hope that the Sox did have was diminished last week just before the trade deadline when they made several trades that sent some of their key players off to other teams. Most significantly, Jon Lester being sent out to Oakland in exchange for Yoenis Cespedes, who should provide some pop to a struggling Red Sox outfield, was a big blow to the team. While Cespedes is a fantastic player, and will undoubtedly help the Sox moving forward, Lester was an ace, and aces are extremely valuable. A team simply isn’t the same after loosing such a valuable asset, and it will certainly show. But Lester wasn’t the only Red Sox pitcher who changed uniforms. Also getting sent packing were John Lackey and Jake Peavy, who brought back Allen Craig and Joe Kelly, and a couple of minor league prospects, respectively. Though David Ortiz, Dustin Pedroia, Mike Napoli, and breakout Brock Holt, have been big parts to the Red Sox team this year, coming through big in games, there have been too many injuries to have the Sox make any sort of run towards making the playoffs. Last season everything seemed to go right every single day of the year, but this season things are just the opposite, with players not being able to get on a roll. With a mere 51 games left to their season, the Red Sox are beginning to look to the future for signs of better things to come. And, fortunately for them, they have an unbelievable amount of young talent set to contribute to the Sox as soon as the 2015 season, leading many to envision big things for them next year. Consisting of Mookie Betts, Henry Owens, Blake Swihart, Garin Cecchini, Allen Webster, Anthony Ranaudo and Christian Vazquez, all of which are age 24 or younger, the Sox have seven of their top ten prospects currently at Triple-A or in the major leagues, leaving them with numerous options to help improve their ball club shortly down the road. 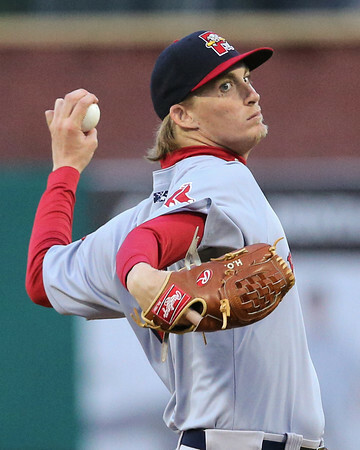 Two of those multiple options were just recently promoted to Triple-A, in Henry Owens and Blake Swihart, however, they are arguably the most talented of any players in the Red Sox farm system. Owens holds a 15-4 record between Double-A and Triple-A this year, with an ERA of 2.47, after an outstanding Triple-A debut on Monday night. Swihart is hitting an even .300, with a career high 12 home runs and 55 RBI’s to this point in the season. Though it isn’t likely that either one will be a September call up, seeing that the Red Sox are out of things, both could play huge roles in a resurgence for the Red Sox in 2015. As far as Mookie Betts, Garin Cecchini, and the remaining, previously mentioned prospects go, all have seen some major league time at some point this season, and while none of them blew people away by posting amazing stats, they each are expected to have bright big league futures. Once the Red Sox’ top prospects begin to reach the big league level and stick, combining their talents with the likes of the always consistent David Ortiz, newcomer Yoenis Cespedes, and star second baseman, Dustin Pedroia, the Sox should begin to see things turn around. With there being rumors that the Red Sox could potentially resign Jon Lester this coming offseason to a deal for 2015 and beyond, despite 2014 being a down year, next year could wind up being the year the Red Sox begin to see that expected major turn around to their overall team. 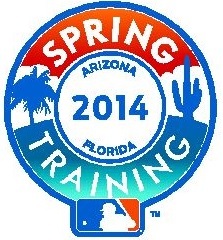 If all goes as predicted (given, that hardly ever happens), 2015 could turn out to be a very special season. The 2013 Major League Baseball season ended nearly a month ago, but the team changing deals that take place every offseason are just now beginning. The biggest trade that has taken place so far is undoubtedly Prince Fielder going to the Rangers in exchange for Ian Kinsler, however, the Cardinals getting rid of David Freese in a trade for Peter Bourjos is up there on the list as well. As far as free agent signings go — none of the previously named players were free agents — Brian McCann signing to play with the Yankees was a big time deal, with Jhonny Peralta’s agreement to play with the Cardinals (4 years, 53 million dollar) being the deal that has caused the most controversy, due to past his PED use. But I won’t get into that. Notable current free agents include Carlos Beltran, Robinson Cano and Jacoby Ellsbury, among others, but I’m only going to be discussing the top ranked (in my mind) player available at each position, and which team I feel they’d fit the best with. Keep in mind, these are the teams I feel would be the best fit for each player, not necessarily a team that’s interested in them, or subsequently will sign them. The Rangers were in the conversation for Brian McCann to take over their catcher role, but after the Yankees locked him up, I think Saltalamacchia would be the next best thing — a good fit for both the Rangers and Saltalamacchia. Having played for the Rangers from 2007 to 2010, Saltalamacchia would be returning to familiar territory. Though he never had much success in Arlington — never playing in more than 84 games in a season — Saltalamacchia proved this past season with the Sox that he can post good numbers, batting .273 with 14 home runs and 65 RBI’s. I think the Rangers would be a great team for Saltalamacchia, but he’ll likely remain in Boston. Kendrys Morales had a great season for the Mariners in 2013, batting .277 with 23 home runs and 80 RBI’s. Being a switch hitter — a very consistent one at that — I feel the Tigers would be a good fit for Morales. The Tigers have a right-handed-heavy lineup, and a good hitter who can hit from the left side — there are talks they could also be interested in Shin-Soo Choo — when needed would be an important addition. Also, Morales could go a long way in replacing Prince Fielder’s bat in the lineup, though admittedly it wouldn’t replace his 30+ home run power. Nonetheless, Morales is a player the Tigers need to target, in my opinion. A lot of teams would be interested in Mike Napoli, but I feel the Red Sox should resign him, as he is a great fit where he is. Playing first base, there are really no other fantastic first basemen on the market, and they’re not about to put David Ortiz there full time. Napoli’s 23 home runs and 92 RBI’s this past season is something that’s hard to replace. He was a big reason the Red Sox were so successful this season, helping to lead them to a World Series title. Napoli shouldn’t be going anywhere. Because Robinson Cano is such a good player — a great fit for multiple teams — it’s hard to pick just one team that he should sign with. The top ranked free agent of the offseason, I feel Cano doesn’t need to be in pinstripes next season for both his sake and the sake of the Yankees. Not signing Cano to a deal worth, more than likely, nearly 200 million dollars, would allow them to use that extra cash to sign some lower-priced free agents and develop an all-around better team. With or without Cano, there’s no guarantee the Yankees will make the playoffs, but I feel they’re better off in the long run without him. Tying into one of the reasons I feel the Yankees shouldn’t resign Cano, Juan Uribe is a player who would come at a relatively affordable price to the Yankees and would be a good fit at third base, where they are very weak. With no guarantees that A-Rod will ever return, signing Uribe would give them a better defensive player at third than what they currently have, and it would add a decent offensive player to their lineup. Uribe’s .278 batting average with 12 homers and 50 RBI’s last season wouldn’t be a team-changing move for the Yankees, but it would certainly improve their situation. The only thing that is for sure with Stephen Drew is that he has a near 100 percent chance of not being with the Red Sox next season; other than that, not a lot is certain. Drew was an impact player for the Sox this past season, playing a good defense at shortstop and coming up big in big spots, especially in the postseason, but with Xander Bogaerts at shortstop and Will Middlebrooks at third base, there just isn’t room for Drew. The Yankees could use him down the road at short, but assuming Derek Jeter is healthy, there won’t be a spot for Drew next season, other than Jeter’s backup. For Drew’s sake, I feel he’d be a good fit with the Astros, who could use an everyday shortstop — one of their many weak spots. There really aren’t a lot of great left field free agents available, but of them, Quintin Berry is the best. The Diamondback’s have a left fielder, in Adam Eaton, but I feel the acquisition of Berry would be worth it, as they could move some players around to make room for him. Berry hasn’t had a great deal of opportunity to show off any consistency at the big league level, but his speed — he’s never been caught stealing in 24 major league stolen base attempts — alone is enough for the D-back’s to take a shot on Berry, in my mind. I couldn’t pick just one player as the best available free agent at this position, as both Jacoby Ellsbury and Shin-Soo Choo have a high value in their own unique ways. Ellsbury hasn’t been able to stay very healthy so far during his career, but an unhealthy Ellsbury is more valuable than a lot of other players in baseball — he’s that great of an impact when healthy. Though Seattle has a difficult time attracting players, due to their location and recent subpar performances, I feel they are going to become a great team in the next year or two. Ellsbury needs to join before things take off. As far as Choo goes, he is very efficient at getting on base, with a .421 OBP this past season. The Reds need to keep him, in my opinion, as their leadoff man, if they want to be as successful next season as they were in 2013. If the Yankees decide not to keep Cano, as I believe they should do, they will likely make a run at Carlos Beltran, who they are reportedly interested in. A left handed hitter, Beltran would thrive at Yankee stadium and would be a big impact for the Yankees in 2014 and beyond. At 36 years old, Beltran isn’t a player you would want to lock up for any extended period of time, however, any time with Beltran on your team is worth it. Batting .296 with 24 home runs and 84 RBI’s last season, Beltran could have a great season should the Yankees sign him. A lot of teams need pitching, including the Blue Jays, Rockies, etc., but the Twins are a team I feel could use a guy like Ubaldo Jimenez the most. The Twins are an interesting team, as they don’t have a lot going for them now, but their farm system is one of the best in baseball and they will be a really good team down the road, similar with the Mariners. Should Jimenez sign with them, I could see him developing into the great pitcher he’s capable of being. He’s shown signs of it in the past, and next year could be a break out year for him. Jimenez could really help out the Twins in a big way. While Joe Nathan and Fernando Rodney would be good fits for the Tigers, I feel Brian Wilson would be the best. Wilson has had a lot of ups and downs in his career, but when he’s healthy, he’s one of the most dominant relief pitchers in baseball — something the Tigers could use. 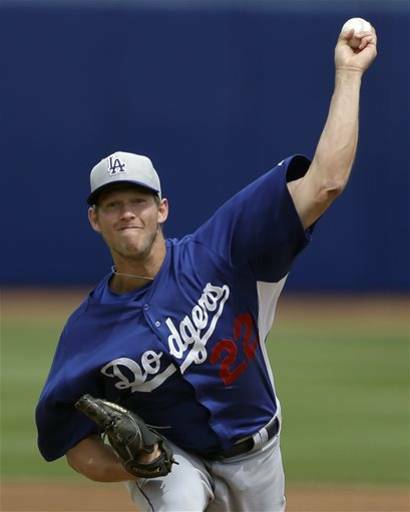 Having undergone two Tommy John surgeries, many teams shy away from Wilson. But after the performance he had towards the end of last season, I feel Wilson could be the piece the Tigers need to clinch them a World Series title after coming up short recently. So, there are my thoughts on which players are the best remaining free agents at each postion, and which team should sign them. Odds are that things won’t go exactly, if at all, how I feel they should, but this is just the way I see it working out best. As always, feel free to leave a comment with your thoughts. 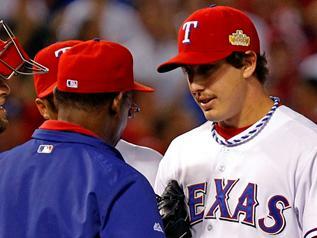 On the mound for the Rangers in this game was their young lefty, Derek Holland. Holland, who’s had his good games and bad games in the past, would have to pitch the best game of his life to keep the hot Cardinal bats from scoring in the early innings. He got off to a good start in the first, as he set down the first three batters, 1-2-3, including a strikeout of Allen Craig. Moving on to the bottom of the first, the Cardinal’s had Edwin Jackson as their pitcher. His last start didn’t go as planned, and thus he was looking for a little bit of redemption in this game. 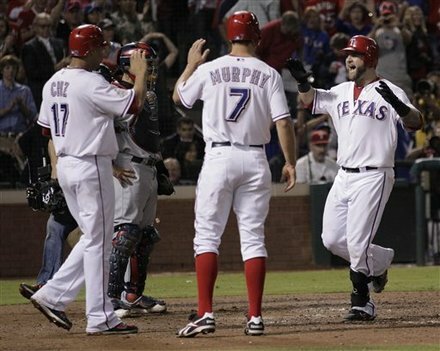 But things didn’t go as planned again, as after a single by Elvis Andrus, Josh Hamilton hit a double down the right field line, allowing Andrus to score all the way from first. The score was 1-0, Rangers, just like that. Moving onto the bottom of the sixth inning, Edwin Jackson found himself in a bit of a jam, after walking the second two batters of the inning. Tony LaRussa had seen enough, as he made the call to the bullpen to bring in Mitchell Boggs. Things didn’t turn out as LaRussa had wished, as the first pitch thrown by Boggs was crushed by Mike Napoli over the left field wall. With that home run, Napoli became the first catcher to hit two homers in a Series since Mike Piazza of the Mets in 2000. The score now had the Rangers leading 4-0. With Holland pitching the way he was, you could pretty much feel that the game was as good as over. 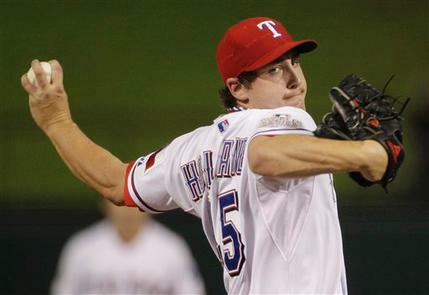 Derek Holland, as mentioned earlier, had to pitch the game of his life in order for the Rangers to have a chance at winning. Well, not only did he pitch the game of his life , but he still had a shutout going into the ninth inning. Could he hold on for the complete game shutout? That’s the question everyone, including Ranger’s manager Ron Washington, was asking themselves. Everyone was on the edge of their seat in anticipation. Holland retired the first batter of the inning on a groundout. Then after walking the next batter, Washington felt that Holland’s night was over, as he makes the trip out to the mound. You can tell by the look on Derek’s face that he wanted nothing more than to stay in the game, but Washington wouldn’t hear of it, as he called in Neftali Feliz to shut things down. That he did. Final score 4-0, Rangers. The series is now tied at two games a piece.